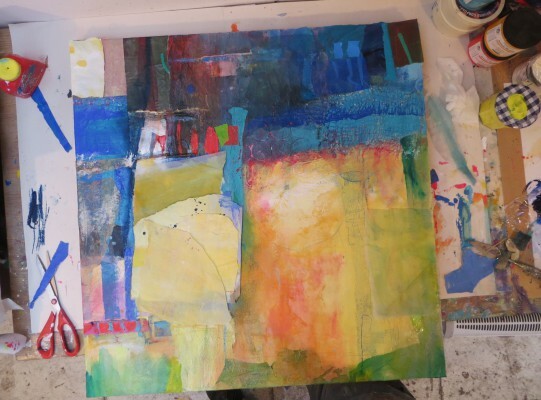 New work in progress for 2015 – Big abstracts! 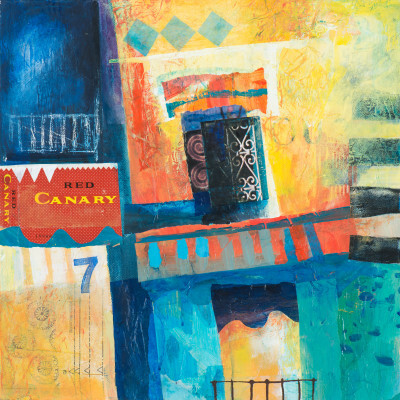 Tried to get off the orange – moved to red! 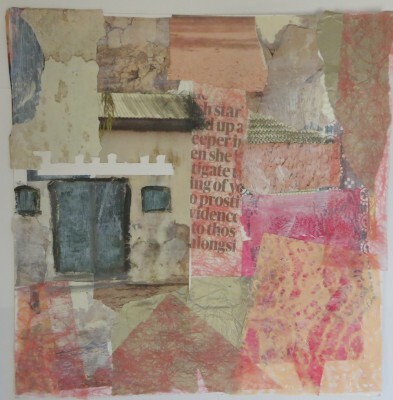 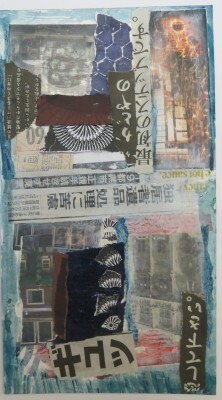 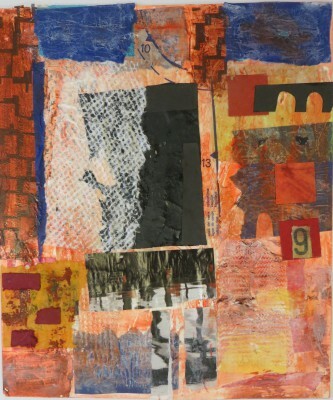 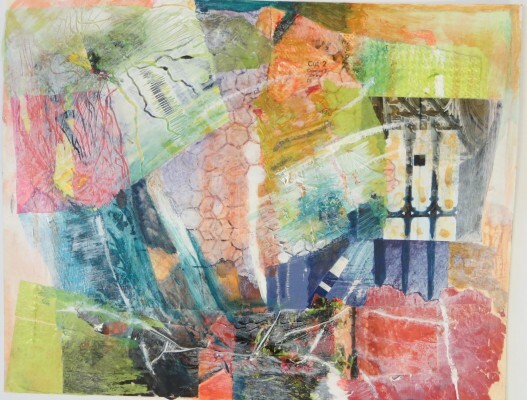 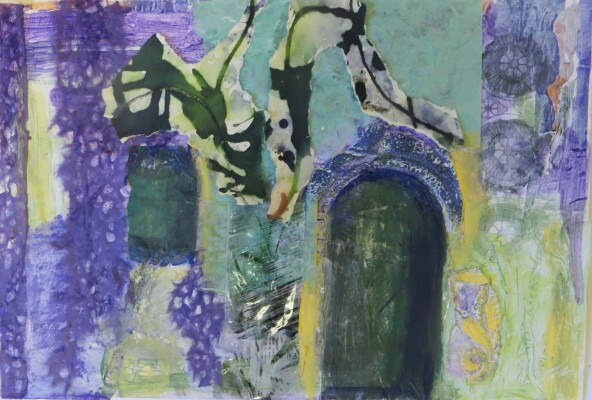 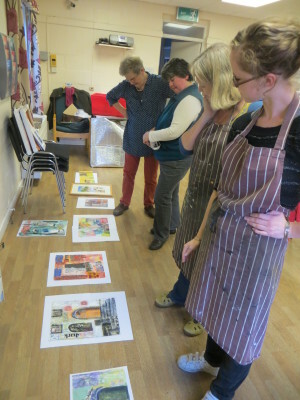 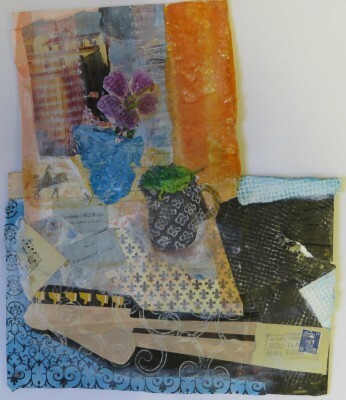 Beautiful collages created in only 3 hours in our collage workshop yesterday. 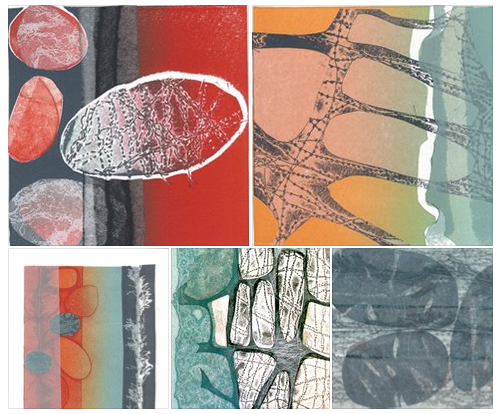 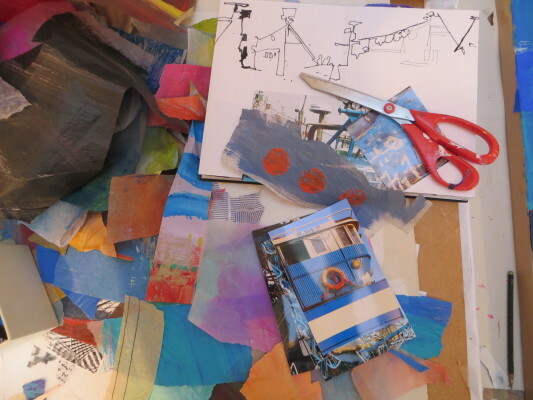 The next one is a Sketchbook workshop 23rd November in Cambridge. 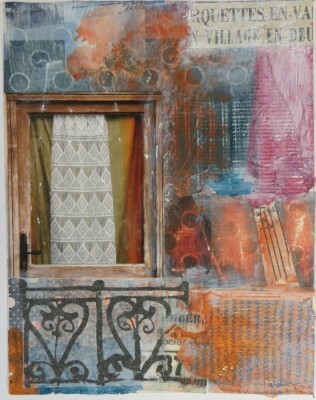 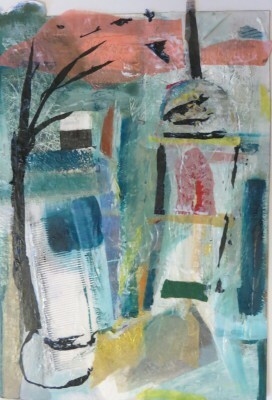 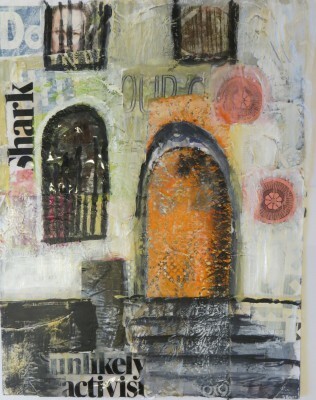 Three collages currently on display in the beautiful Off the Wall Gallery www.offthewallgallery.com in Cardiff. 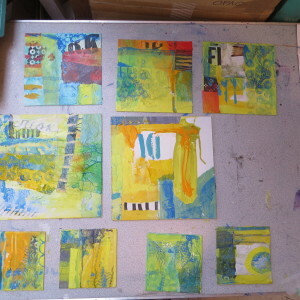 They are not all joined together, but I quite like it! 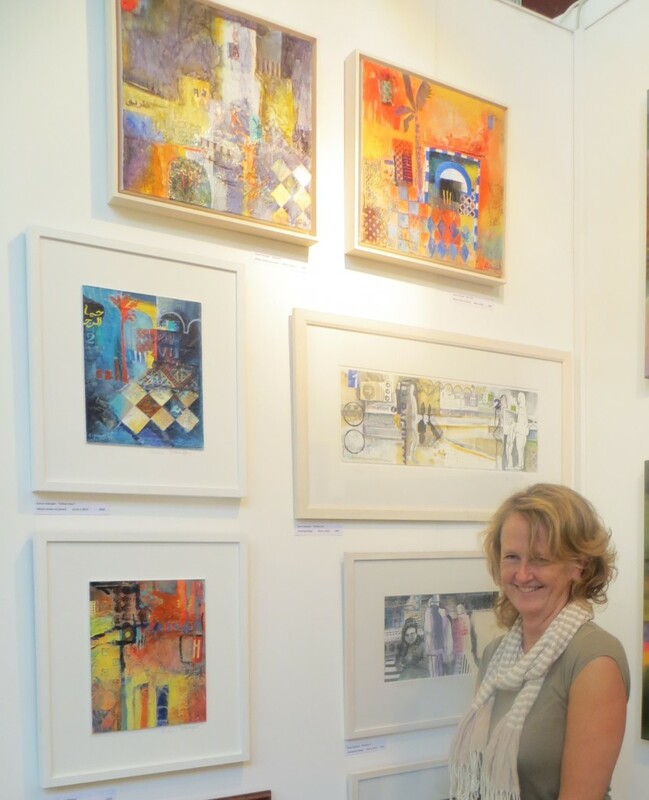 What a fantastic, friendly event the second Cambridge City Art Fair was this weekend. 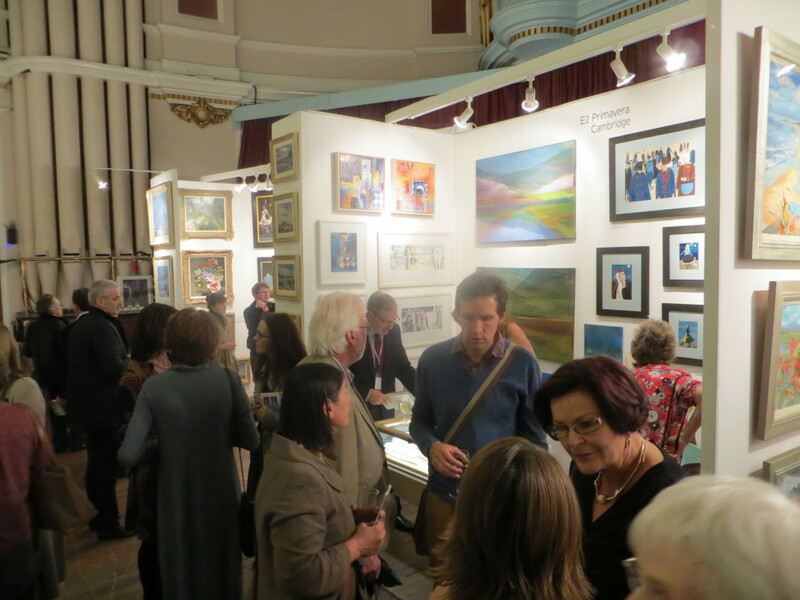 Lots of buying visitors and new contacts. 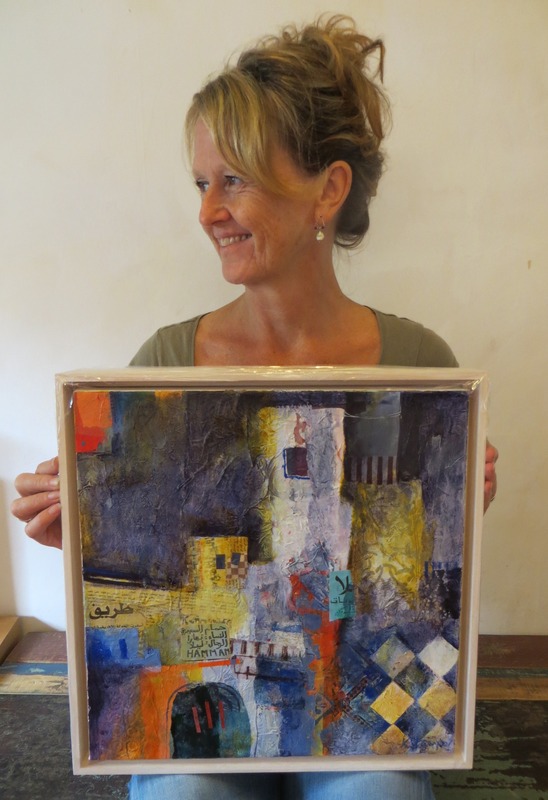 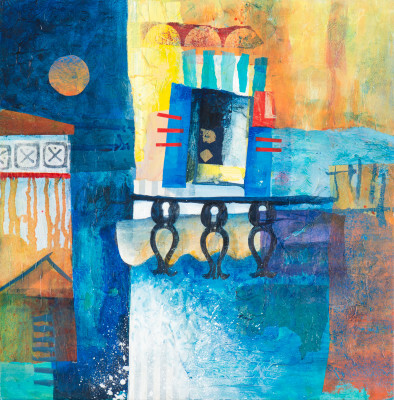 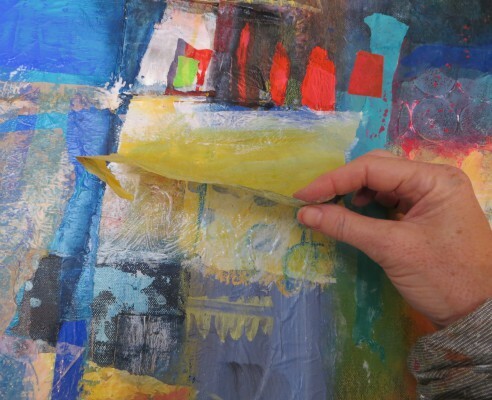 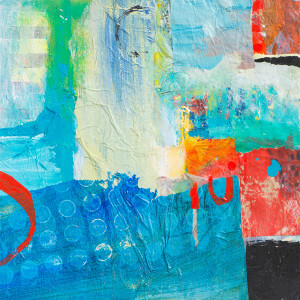 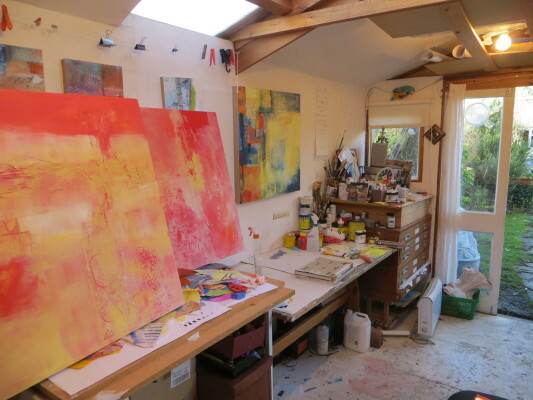 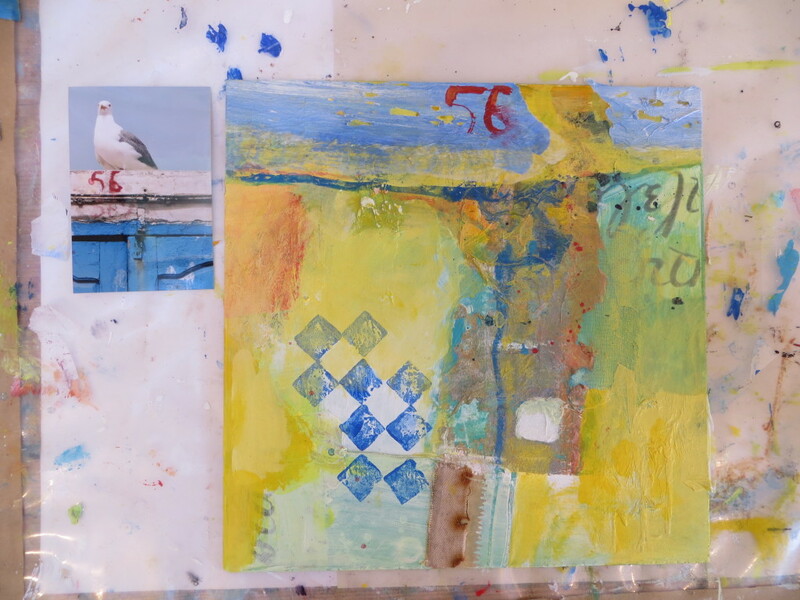 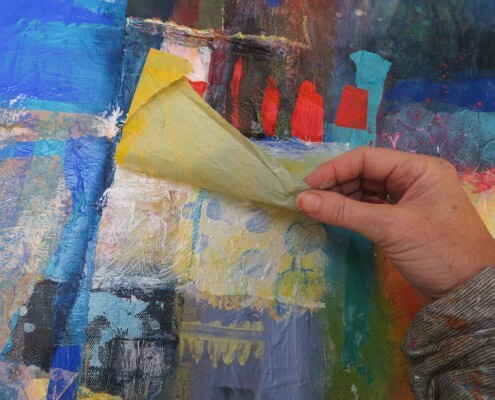 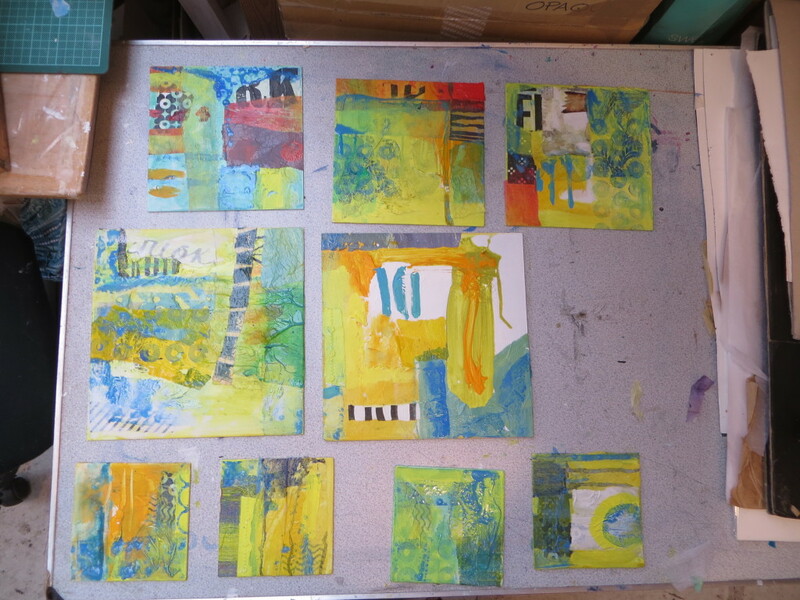 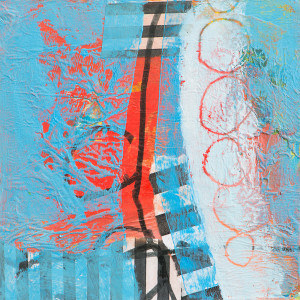 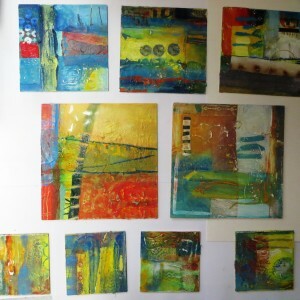 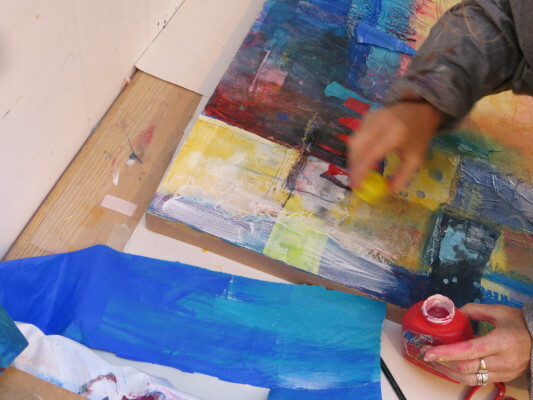 Now it is back to the studio – trying to see if I can work without the colour orange! 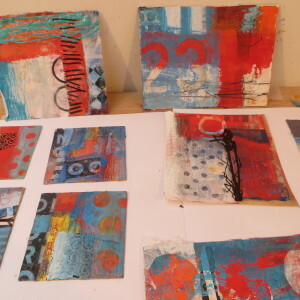 Clare Wood www.claremariawood.co.uk is another talented printmaker and arty friend, hopefully showing with Cambridge Original Printmakers next year! 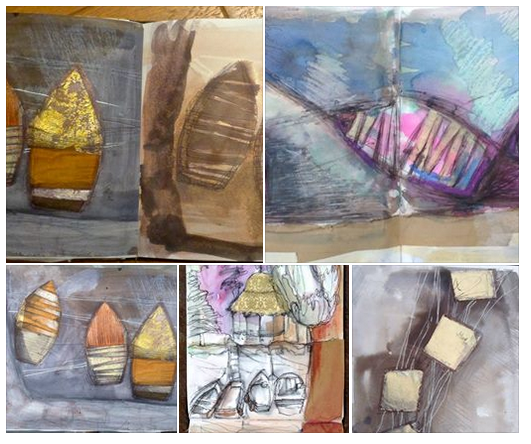 Here is a series from her sketchbook. 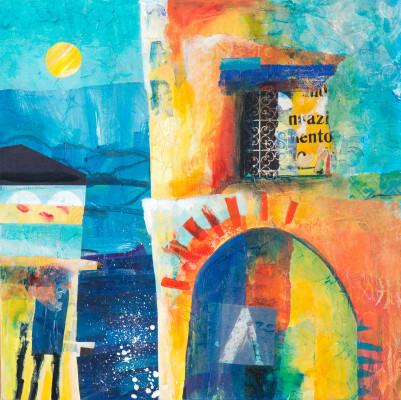 Still on arty friends Lesly Birch www.lesleybirchartist.com Her beautiful atmospheric paintings and lively sketchbooks are always a joy to look at.